With the resurgence of 3D technology continuing unabated, we've seen a range of 3D-capable laptops released over the past few months. From the polarised screen of the Acer Aspire 5738DZG to the Nvidia 3D Vision technology of the Asus G51JX, the effect has been stunning, with 3D looking stronger than ever before. Despite 3D's growing popularity, however, surprisingly few of the big names in the laptop market have so far stepped into the 3D laptop arena. 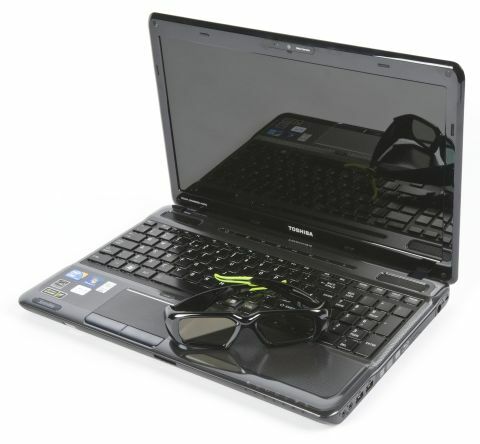 While both Sony and HP have 3D screen machines coming in the very near future, Toshiba has beaten both to the punch with the release of the Toshiba Satellite A665-11Z – a 15.6-inch machine that packs an Nvidia 3D Vision-powered screen, active 3D glasses and a quad-core Intel Core i7 processor. As with all current 3D laptops, it lacks the screen size of big-screen media centres such as Toshiba's own Qosmio X500 range, but the Satellite A665-11Z more than compensates with power, style and features. However, the Toshiba is not without its flaws and while the interactive entertainment it delivers is excellent, this is not the best 3D-capable laptop we've seen, with some strong competition close on its heels.